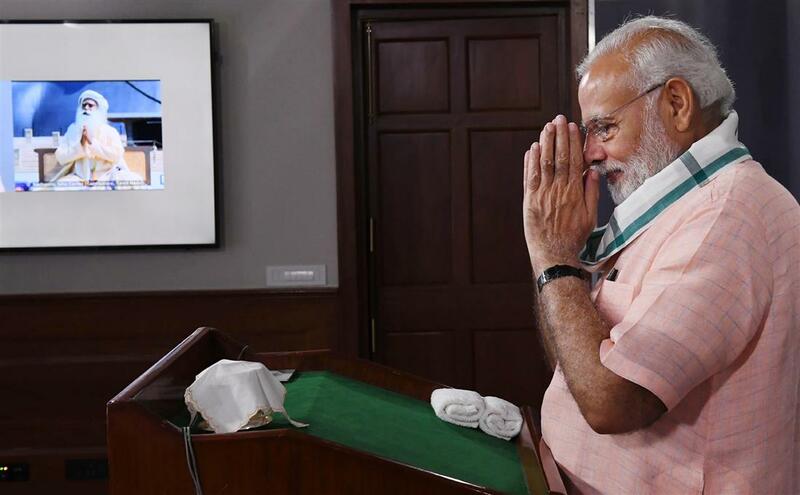 New Delhi: Prime Minister Narendra Modi, today launched the ‘Swachhata Hi Seva’ Movement, to boost nation wide public participation in the Swachh Bharat Abhiyan, and catalyse the fulfilment of Bapu’s dream of a Clean India. The Swachhata Hi Seva movement, launched today, aims at generating greater public participation towards Swachhta. It is being organized in the run up to the fourth anniversary of the Swachh Bharat Mission, on October 2nd, 2018, which will also mark the commencement of the 150th year celebrations of Mahatma Gandhi.The Prime Minister urged everyone to be a part of this movement and strengthen the efforts to create a ‘Swachh Bharat’. He interacted with a cross-section of people from 17 locations across the country, via video conferencing. Initiating the interaction, the Prime Minister shared some key achievement, including how 450 districts in India have become Open Defecation Free within four years. Similarly, 20 States and Union Territories have declared themselves ODF in this period. He emphasized that providing facilities such as toilets or dustbins is not enough, and added that cleanliness or Swachhta is a habit that can be inculcated. He said people from across the country are now participating in the development of this habit. School children from Dibrugarh in Assam, explained to the Prime Minister, their contributions towards making their school and area, clean. The PM noted that youngsters are ambassadors of social change. The way they have furthered the message of cleanliness is commendable, he added. Members of milk and agriculture cooperatives assembled in Mehsana, Gujarat, to interact with the PM on their initiatives towards Swachhta. 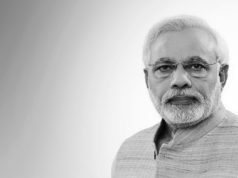 The Prime Minister noted that Swachh Bharat Abhiyaan has led to a decrease in cases of diseases such as diarrhoea. From the Gateway of India in Mumbai, actor Amitabh Bachchan explained the various cleanliness activities he has been involved in, including cleaning of a beach in Mumbai. Noted industrialist Shri Ratan Tata also joined the interaction. It is a great honour and privilege to help launch a movement which should be the dream of every citizen of India, he added. The Prime Minister expressed his belief that the private sector has a big role to play in the creation of a Clean India. Senior media persons from DainikJagran, including Shri Sanjay Gupta, joined the interaction from Noida, and shared their efforts to further cleanliness. 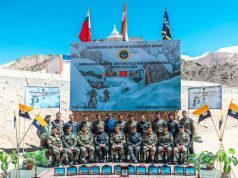 Jawans of the ITBP joined the interaction from the high altitude Pangong Lake in Ladakh. The Prime Minister praised the ITBP jawans for their bravery and their service to the nation. Sadhguru Jaggi Vasudev joined the interaction from Coimbatore. He said that there is a certainlevel of enthusiasm towards the Swachhata campaign, whichis visible in his travels. 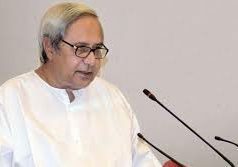 He praised the Prime Minister for providing this impetus. The Prime Minister said that Swachh Bharat is not a movement of any Government or any Prime Minister, but an entire nation’s movement. Women Swachhagrahis from Dantewada in Chhattisgarh and Salem in Tamil Nadu explained to the Prime Minister, their efforts towards Swachhata. Spiritual leaders and citizens from Patna Sahib Gurudwara and Dadi Jankiji from Mt Abu, also interacted with the PM. The Prime Minister especially thanked the Brahmakumar is Sansthan for their efforts towards cleanliness. The Prime Minister interacted with citizens from Rajgarh in Madhya Pradesh, and Fatehpur in Uttar Pradesh, including UP Chief Minister Yogi Adityanath. Spiritual leader Sri Sri Ravi Shankar joined the interaction from Bengaluru. He said that the Prime Minister has enthused the nation and especially the youth. The Prime Minister interacted with volunteers engaged in cleaning the Ganga, from Bijnor in Uttar Pradesh. He praised them for their efforts in cleaning “Ma Ganga.” He called upon all citizens living on the banks of the River Ganga, to volunteer towards cleaning the river, during the Swachhata Hi Seva movement. Devotees from Ajmer Sharif Dargah, and railway employees from Rewari in Haryana also interacted with PM. Maa Amritanandamayee joined the interaction from Kollam. Summing up the interaction, the Prime Minister appreciated the role of the Swachhagrahis, and said their role would always be remembered in history. He said that our confidence and resolve towards cleanliness is sky-high. He gave a clarion call to the people to work for Swachhata Hi Seva.